Kodiak, Alaska - Republican Sarah Palin has succeeded, or as the Chinese say, "The carp has leaped through the dragon's gate." But on the other side is a need to clean up racketeering and restore seafood's full resource value for all Alaskans and the Nation. Governor-elect Sarah Palin's promise of integrity, trust and transparency, and accountability are a good beginning. Nothing demonstrates that more clearly than the current RICO misbehaviors being used to propel Gulf of Alaska Rationalization, the Rockfish Pilot Program, and MSA Reauthorization with allocative confiscations of public rights. First, our congratulations to a fellow Dragon. Next, "Holy geez, and hold onto your hats" as you read about Kodiak's City and Borough action tonight about Reauthorization of the Magnuson-Stevens Fisheries Act. It is our hope that Senator Maria Cantwell takes over Commerce, and pays attention to the RICO activity that led to current versions of the bill - and tables action on any further rationalization, quotas, linkages and processor shares, and other directed fishing privileges altogether. We also need the GAO recommendations put in place to clean up our regional fishery councils. Just as we need Palin to purge the corruption on the NPFMC and at the State Department of Fish and Game and elsewhere. It's Thursday the 9th of November, but here's the full text of the predicted win, after we'd checked the Chinese star projections. Sent this off on Tuesday morning of the election, but the website was down. Though it was a headline tickler on Wednesday. Tuesday Nov. 7; TOMORROW'S FORTUNE COOKIE: "The carp has leaped through the dragon's gate." 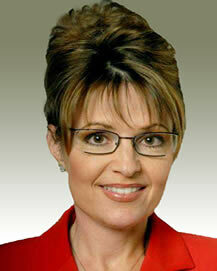 Today, Sarah Palin will win the Alaska governorship. This has been 'Long' written, and the directional interpretation is now clear. A wood dragon in the year of the dog, fourth quarter, will have a turning point that is expected yet feared. But the transition under accompanying star Van Xuong will go smoothly under the benevolent presence of the star Dao Hoa... yet she will need much trusted support for smooth progress in new directions... as this dragon is prone to compromise -- some of which could shortcut a full success. However, her thirst to run with the ball for a win on the court for her side will favor us, and yet she's well aware of the impact that upcoming indictments may have, so will likely proceed with awareness and caution. And the institution of the office will command certain structures and new players. And I believe she will draw upon those who long ago established trustworthiness. And close the doors on disreputable cronies who will still plague Alaska. This dragon likes to be guided by sound logic, and is capable of brilliant new concepts. I saw the recognition in her eyes, heard it in her voice, felt the relish she enjoyed in having a trusted private moment for deeper exploration of the real truth. But, on this election morning, it pays to know that it will be her Good Fortune that eventually pulls things off. And certain friends can help make good fortune... she can count on the Groundswell, not only for support but for guidance, because we are Alaska's coastal voice for People's and citizen taxpayer rights. Kodiak RICO Behavior is Happening Today! The plantation mentality is alive and well in the western fisheries Thalassocracy! The attached PDF file is a collection of various files - you can also see more in our previous post, by clicking on the blue links - regarding Kodiak's current fish war. Expect the City and Borough meetings to be packed, tonight! And if you Google KTVA's report from last Friday (see attached PDF) regarding the Alaska Division of Election's letter warning Dutch Harbor processors against coercing their employees, you see why the federal lawyers for National Labor Relations should be on the next plane for Kodiak. Mr. Savaria should recuse himself from any vote on the City council tonight concerning fisheries. If not, the City should ask Palin's new AG to investigate his recent behavior, as we believe it went beyond bounds of simply encouraging processing workers to participate in a public process. Union busting behavior is easily recognized, as is suppression of the masses. We're glad the national Democrat platform includes raising the minimum wage. Let's start right here in Kodiak and stop the undue influence processors (especially foreign owned ones) had in holding down Alaska's wages. While we're at it, let's penalize companies taking primary products out of Alaska to satisfy global tax evasion strategies by imposing serious severance taxes, in January! What we'd really like - now that the crony system is going to get exposed more in Alaska and Ted and Don Young have lost their committee thrones, is for a little name change or two. First, we'd like Ted's name taken off of our international airport in Anchorage. Instead, let's have Kodiak's new jail named The Ted Stevens Correctional Facility. And when they install a new federal prison on Adak Island to round up all the Alaska crooks, we'd like Governor Sarah Palin to also rename Frank Murkowski's jet. She could put a Mount Rush-to-More-Greed set of their pictures on the side of it, with the words, "The Ben Stevens Prisoner Transport Jet." And then name the Adak prison and its weather accommodating skybridge design, the "Ted Stevens International Corruption Prison and Don Young Skybridge Facility." Because all the RICO behavior is the real bridge they've constructed to Nowhere Hill, Adak Island. And all convicted crony fools need to be placed there for National Security. And while we're at it, let's be clear about exactly who has forever sealed the fate of drilling ANWR and affected the U.S. energy policy. It was the corruption of Ted, Ben, Don, Frank and friends. And thus we finally arrive at the conclusion long ago predicted, that Alaska has been harmed more than helped by the Berkshire porker attitudes and behaviors of these fools. But that's just life on the Frontier. And it will be up to the rest of us to pioneer some new solutions to the mess they've left us with. Accountability and Transparency, and a new Board of Resource A&T, is the road to a better future. Let us know if we can do anything to help. Enjoy the PDFs.. The FBI will.